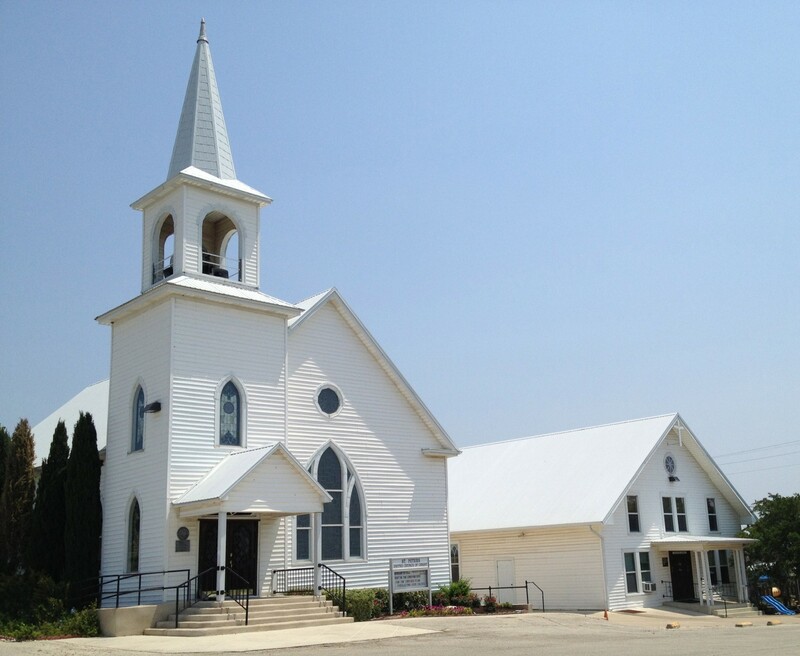 July 19, 2013 (Williamson County, TX) – –Williamson County is one of the fastest growing counties in Texas. The increase in county population, along with many people waiting until the end of the month to get their motor vehicle tags renewed, has caused longer lines at the Williamson County Tax Assessor/Collector’s four offices. Below are tips to help vehicle registration renewal customers avoid standing in those long lines. Online renewals may be processed through the Texas Department of Motor Vehicles at www.txdmv.gov and are assessed a $3 convenience fee. Allow a week for your documents to be processed. Mail-in your registration renewal and payment by the 15th of the month in order to have your vehicle registration processed and returned by mail before the end of the month. Current month vehicle registration renewals can be done at AAA located at 13376 N Hwy 183 #108, Austin or AAA at 201 University Blvd., Round Rock, and at all Williamson County HEB Business Centers, currently excluding Taylor. The Taylor HEB will begin processing vehicle registration renewals by September. Renew current month vehicle registration by phone through our Information Services Department by calling 512-943-1602. Avoid the first and last week of the month, as well as lunch time if you go in person to the Tax Assessor/Collector’s Office. If you are going to the tax office to pay property taxes or renew a registration, remember drop boxes are found inside at every location, except Georgetown where the drop box is located on the front of the building. We also encourage residents to pay property taxes by mail. We honor United States Postal Service post marks. Receipts will be provided upon request. This entry was posted in Local Government, What's New? and tagged vehicle registration, Williamson County on July 21, 2013 by Stewart Dale Spencer. As we go about our daily routines, it’s always good to take a moment to marvel at the wonders of nature. I hope you saw this beauty late on Wednesday afternoon but just in case you didn’t, this image is of an isolated cumulonimbus cloud that developed to the southeast of Coupland. Since there is so much more rainfall to the east of this area, we are occasionally treated to some amazing light shows from distant thunderstorms, especially this time of year. About two weeks ago, we we saw a wonderful dance of lightning in and around the clouds of a storm near Houston. I would estimate that it was at least 50,000 feet high. Thunderstorms in the tropics have been measured as high at 75,000 feet. That’s over 14 miles straight up. Airliners fly around 30,000 – 40,000 feet, depending upon various factors, so there’s no going over even moderately-sized storms. For all our accomplishments, we are puny indeed when we come face to face with things like thunderstorms, which Mother Nature builds up and knocks down with regularity . . . like a pre-schooler with a pile of stacking blocks. Of course, pictures can’t possibly live up to the splendor of the real thing so don’t forget to look up whenever you go outside because if you don’t, you’re missing out on some amazing sights. 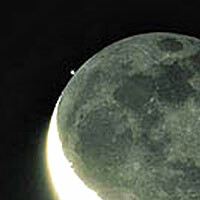 This entry was posted in Nature, Opinion & Commentary, Weather, WHAT is That? 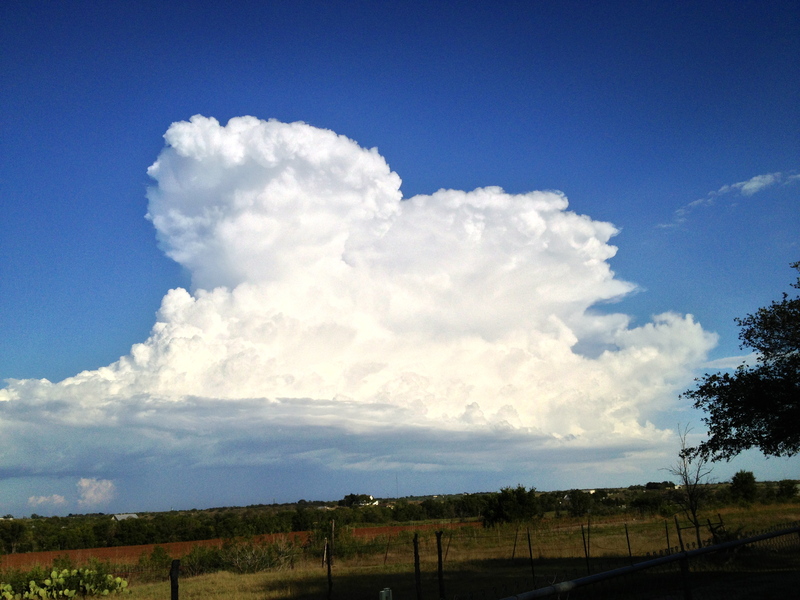 and tagged Coupland Texas, cumulonimbus cloud, thunderstorms on July 19, 2013 by Stewart Dale Spencer. The Peanuts gang will assist us in exploring the for-real issues of faith and faithfulness found in the Mary & Martha episode as reported by Luke. Following last Sunday’s excursion with “the whole body and self” into the Samaritan’s good neighborliness as a person of deep caring and outreach, some further discoveries will be made. It is interesting that Charles Schultz found a way to gather a diverse and multi-gifted crowd of characters, manifesting the myriad of ways God expresses life and blessing. Perhaps we find ourselves in the cartoonist’s jests as we do in the role descriptions of the synoptic Gospel writer’s witness. All exploring faith and faithfulness are always welcome! It will be the ninth Sunday after Pentecost. This entry was posted in St. Peter's Church and tagged Pastor Frank Dietz, St. Peter's Church on July 18, 2013 by Stewart Dale Spencer. July 16, 2013 (Williamson County, TX) – – County Judge Dan A. Gattis lifted the burn ban for unincorporated areas of Williamson County today, Tuesday, July 16, 2013. This entry was posted in Local Government, What's New? and tagged burn ban, Williamson County on July 16, 2013 by Stewart Dale Spencer.